The American Alpine Club is now accepting applications for its Cutting Edge Grant, the Jones Backcountry Adventure Grant and the Jones Live Like Liz Award. All applications are due by November 30 and all applicants must be AAC members. 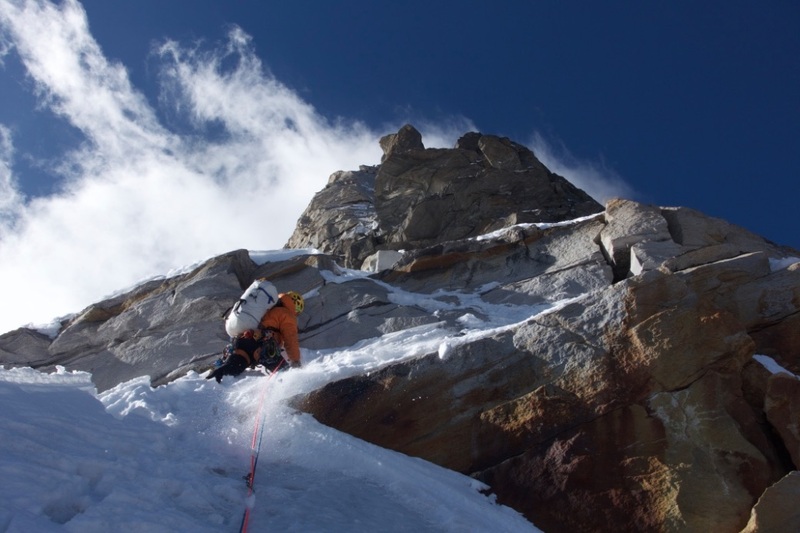 The American Alpine Club's Cutting Edge Grant supports ambitious climbers in pursuit of world-class climbing and mountaineering objectives. Awards typically fall in the $5,000 to $15,000 range with final allocations based on project and budget. Proposals for the Cutting Edge Grants are evaluated upon originality of the objective, low-impact style, climbers' experience, and eligibility. The grant is limited to American Alpine Club members who are US citizens but the team can include non-US citizens. To apply for this year's Cutting Edge Grant, visit the AAC webpage here. A list of last year's recipients can be seen here. According to the AAC press release, this is the second year that the Club has partnered with Jones Snowboards for the Jones Backcountry Adventure Grant and the Jones Live Like Liz Award. These grants are exclusive to amateur backcountry snowboarders looking to explore locations in North America. Applications for the Jones Backcountry Adventure Grant are considered based on objective remoteness, exploratory nature, carbon footprint, creativity, and must be American Alpine Club members. Project locations must be in North America and be completed in 2019. Open exclusively to female applicants, Jones Live Like Liz Award operates under the same criteria as Jones Backcountry Adventure Grant. The Live Like Liz Award is named in honor of aspiring mountain guide Liz Daley, a Jones ambassador who was killed in an avalanche accident in Argentina in September 2014. This award is dedicated to Liz and the radiant passion for splitboard exploration for which she was known. Objectives may be a single line/peak or a tour/traverse of a wider region. Both Jones Backcountry Adventure Grant and the Jones Live Like Liz Award provide $1,500 in financial assistance and gear including a new Jones splitboard, skins and backpack. To apply for either of these Jones grants, visit the AAC webpage here. Rocky Pass/Gallatin Canyon, Montana (Southwest Montana Climbers Coalition): Southwest Montana Climbers Coalition (SMCC) was awarded funding to replace plated 3/8" wedge anchors with 1/2" stainless steel sleeve and glue-in anchors using sustainable replacement techniques (hole re-use) to preserve the character of the routes and the rock. SMCC will engage local volunteers to expand their ability to tackle aging bolts at the gneiss and limestone crags in the region. Red River Gorge, Kentucky (Red River Gorge Fixed Gear Initiative): Red River Gorge Fixed Gear Initiative (RRGFGI) was awarded funding to replace rusting and aging hardware on the steep sandstone cliffs throughout the region with 1/2" stainless glue-in anchors. RRGFGI is planning to replace over 300 bad bolts in 2019 and is striving to keep bad bolts in the region to fewer than 50 at any given time. RRGFGI works to replace aging bolts throughout the Red River Gorge region. Slab Camp, Kentucky (Morehead Tourism Commission): Morehead Tourism Commission was awarded funding to tackle rebolting efforts at Slab Camp, a half-mile section of cliff line featuring approximately 60 routes that were originally bolted in the early 1990s with hardware store bolts and anchors. The routes include a mix of both sport and traditional, with all sport routes requiring new bolts and anchors and all traditional routes in need of new anchors. All bolts will be replaced with 1/2" stainless steel glue-ins. The Morehead Tourism Commission has enlisted the help of local climbers and rebolting experts from the Red River Gorge Fixed Gear Initiative to assist them with the effort through training and consultation on rebolting practices. Shawangunk Mountains, New York (Mohonk Preserve): The Mohonk Preserve was awarded funding to replace eight tree and piton anchors in the Gunks with 1/2" stainless steel sleeve anchors. New bolted anchors placed below the cliff top will reduce climber impacts to the top of the cliff on routes like Gelsa in the Near Trapps. They will also replace aging piton anchors on popular routes such as Son of Easy O in the Trapps. Obed, Tennessee (East Tennessee Climbers' Coalition): East Tennessee Climbers' Coalition (ETCC) was awarded funding to support their goal of rebolting the entire Obed in five years. ETCC is tackling replacement of approximately 4,000 aging bolts, which are all approaching 30 years of age, throughout the popular northeast Tennessee climbing area. ETCC has already undertaken this massive challenge, enlisting the help of volunteers and replacing 730 bolts with 1/2" stainless steel anchors this year alone. Smith Rock, Oregon (High Desert Climbers Alliance): High Desert Climbers Alliance (HDCA) was awarded funding to replace aging hardware at Smith Rock State Park in central Oregon. HDCA will engage local volunteer bolt replacers to replace aging plated hardware that has been in the rock for over 40 years with long-lasting 1/2" stainless steel hardware. 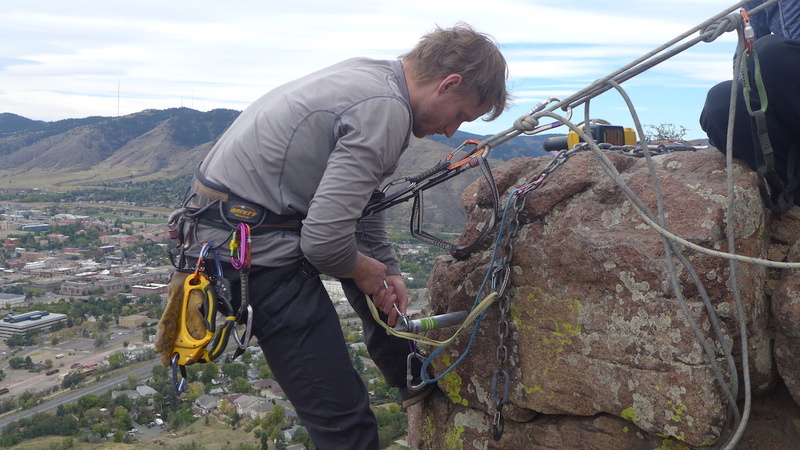 Boulder Canyon, Colorado (Boulder Climbing Community): Boulder Climbing Community (BCC) was awarded funding for rebolting efforts in Boulder Canyon and other Front Range climbing areas. The BCC will purchase 100 1/2" stainless steel sleeve bolts and hangers, as well as 40 anchor set-ups. Their annual rebolting events will take place at North Table Mountain, Boulder Canyon and Clear Creek Canyon. Spearfish Canyon, South Dakota (Black Hills Climbers Coalition): The Black Hills Climbers Coalition (BHCC) was awarded funding to replace aging anchors at popular crags throughout Spearfish Canyon. The BHCC is tackling replacement of 300+ routes, which were equipped 25 years ago with plated and mixed metals. The BHCC will replace these aging anchors using high-quality stainless steel glue-ins to meet the highest standards for fixed anchors at limestone sport climbing areas. Ten Sleep Canyon, Wyoming (Bighorn Climbers Coalition): The Bighorn Climbers Coalition (BCC) was awarded funding to address aging anchors in Ten Sleep Canyon. The BCC will focus on replacing wedge bolts, cold shuts, and worn lower-off anchors throughout the canyon. These will be replaced with 1/2" stainless steel bolts and high-quality ring anchors and lower-off hooks specifically manufactured for climbing.